You can’t PivotTable stuff all day long! 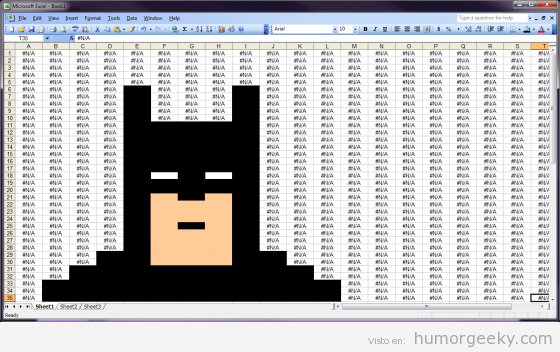 So here is a selection of three pieces of Excel art which will amuse you, amaze you, surprise you. Pow! Bang! #N/A! #N/A! #N/A! #N/A! Batman! This one will rescue you if your workbook is full of errors. Oh, oh, oh! 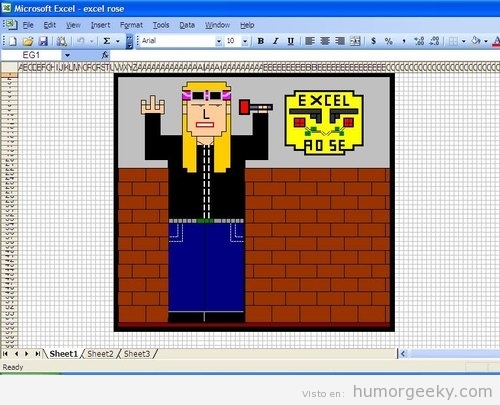 Sweet file o’ mine… Excel Rose can sing and add up. Can a spreadsheet make you happy? Just watch this. Stop-Motion Excel (Spreadsheet Animation) by Joe Penna.